The corn was a bit of an unexpected planting. My daughter snuck a few plants in amongst the tomatoes and peppers. I had told her that there would not be room to plant corn this year. She tried to tell me at one point that a bird must have pooped the seed out in the garden. My response was “Those are talented birds to poop the seeds in perfectly straight rows!” Haha! 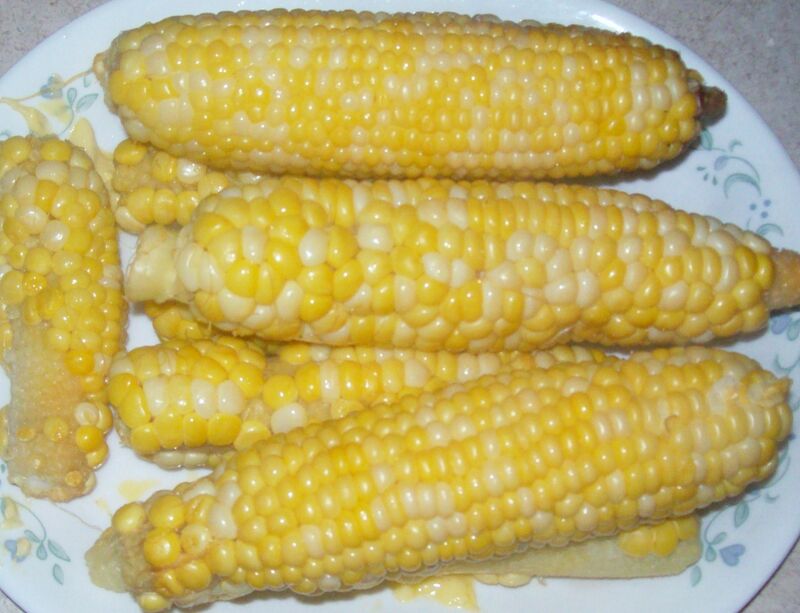 I let her keep her beloved corn, and it made a tasty addition to dinner…and made her feel proud! 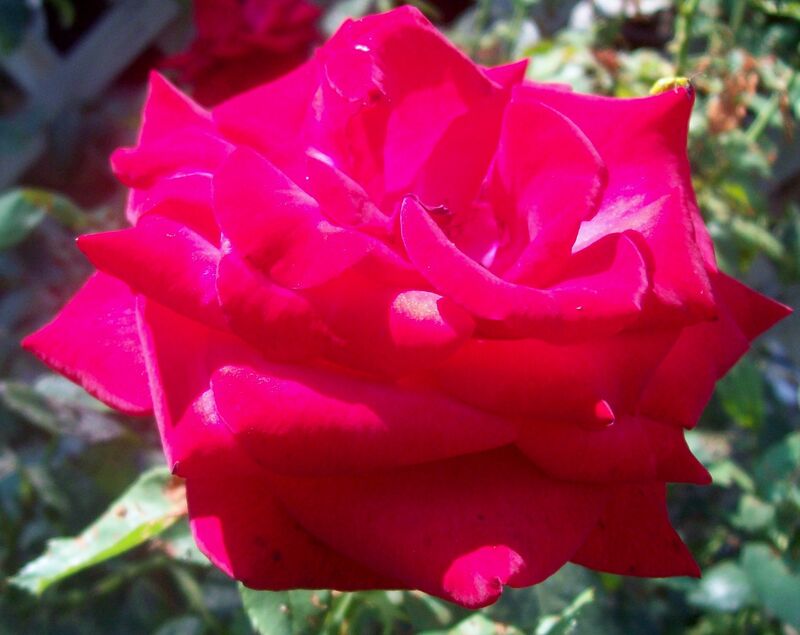 I can’t tell you how thrilled I am that those Japanese Beetles didn’t completely destroy the Abe Lincoln rose. It was severely damaged, but I found this bloom today! 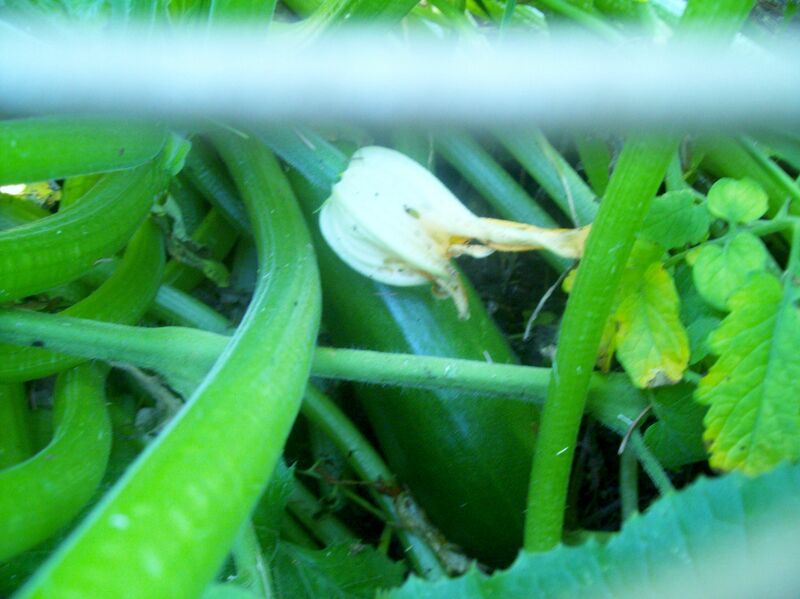 The zucchini continues to produce, leaving me very thankful for such a wonderful harvest. I LOVE ZUKES! 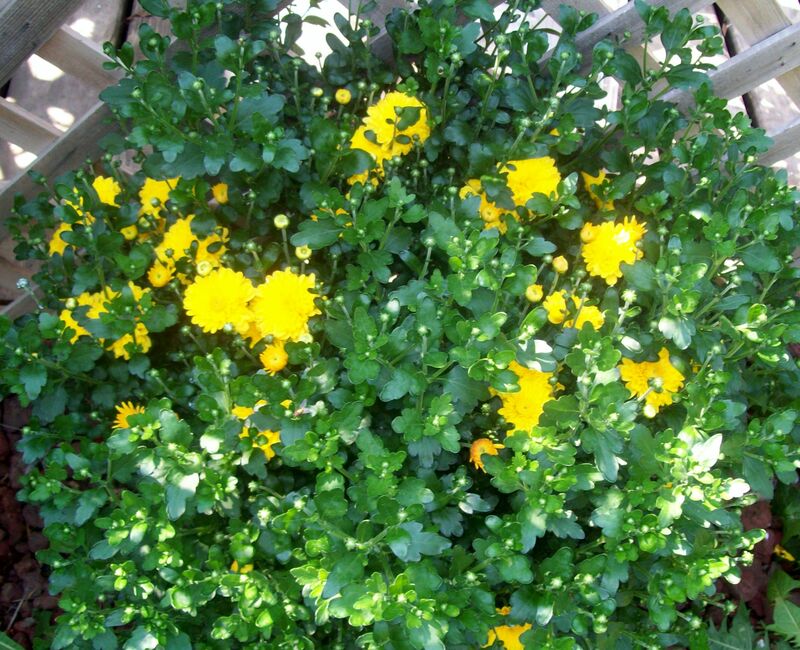 The chrysanthemums are starting to bloom…a sure sign that summer is coming to an end. 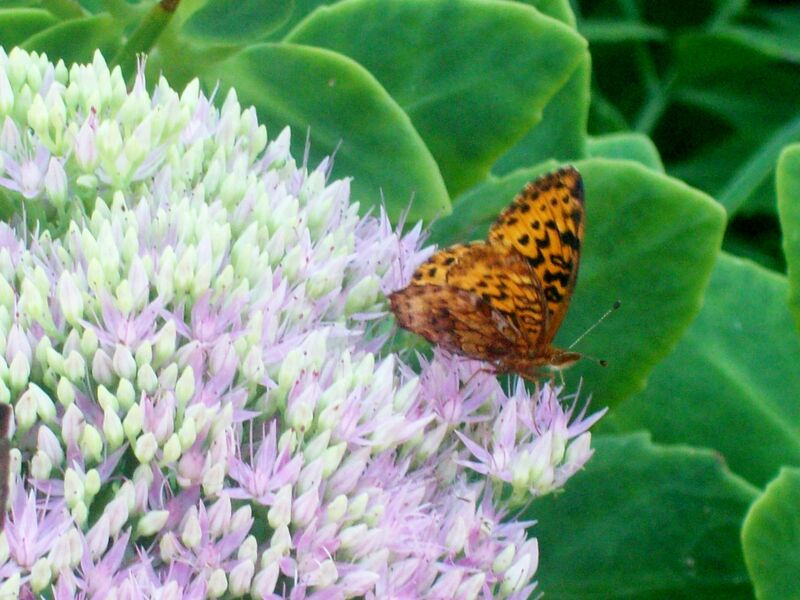 Another sign of autumn is that the Sedum is beginning to bloom The butterflies really love this plant! 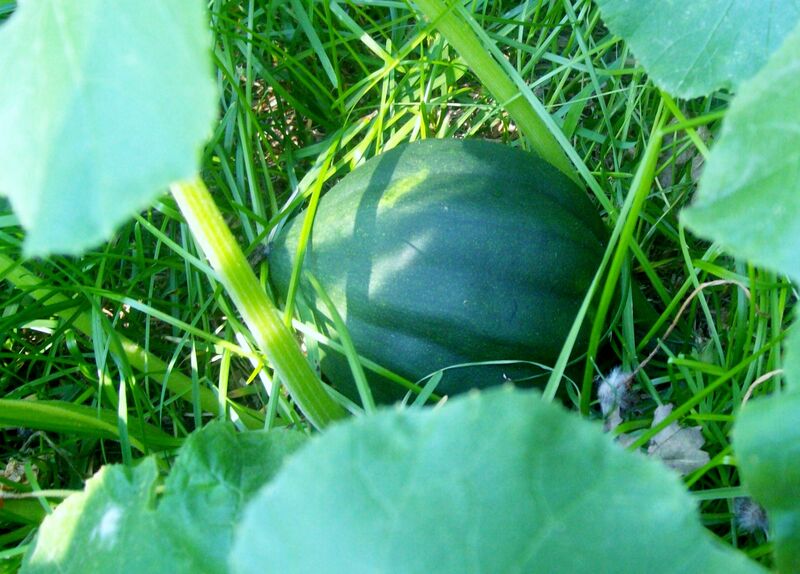 Acorn squash is growing steadily! The Thornless Blackberry has sure filled out this area. I’m trying to get the vine to wind up this post. It’s not cooperating with me, but I will continue to argue with it until it does. 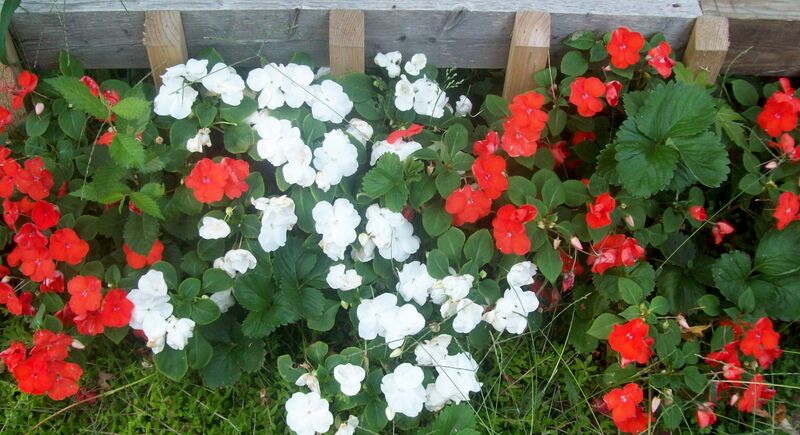 These annual Impatiens filled the area that I had intended for them nicely! I forgot to take a photo of our carrot harvest. They were a small disappointment anyhow. I should have thinned them better. 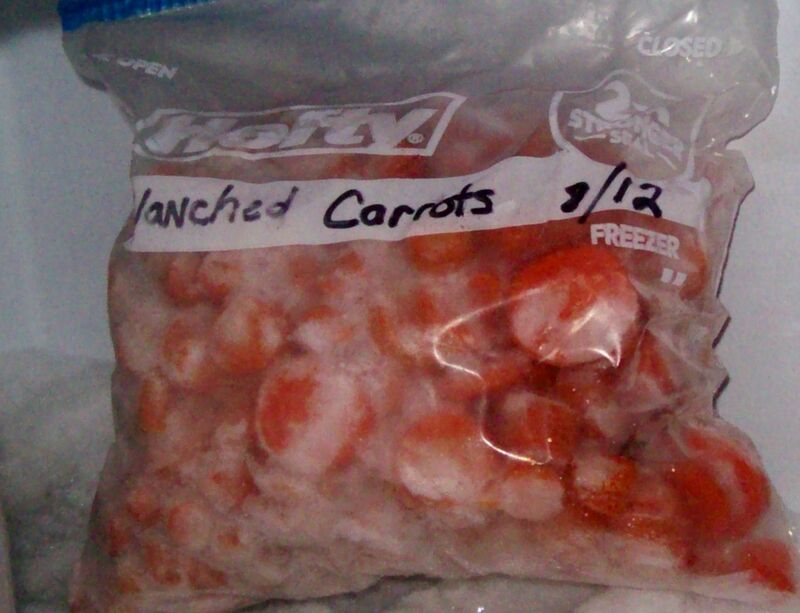 I was still able to blanch and freeze a gallon sized bag of them for soups and stews. 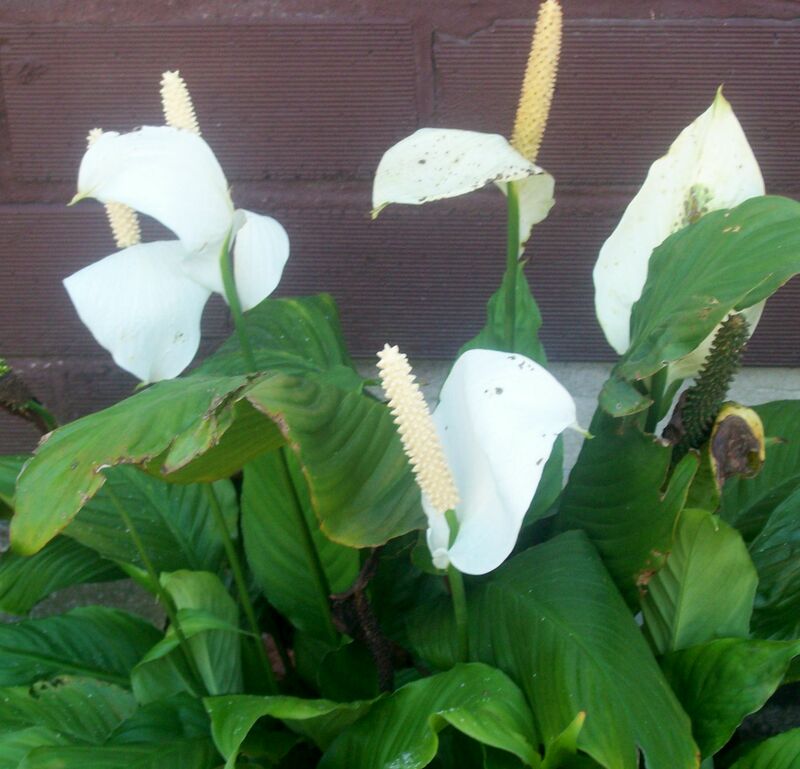 The tropical Peace lily also sustained damage from the beetles, but here it is blooming! The tomatoes continue to produce faster than I can pick them. 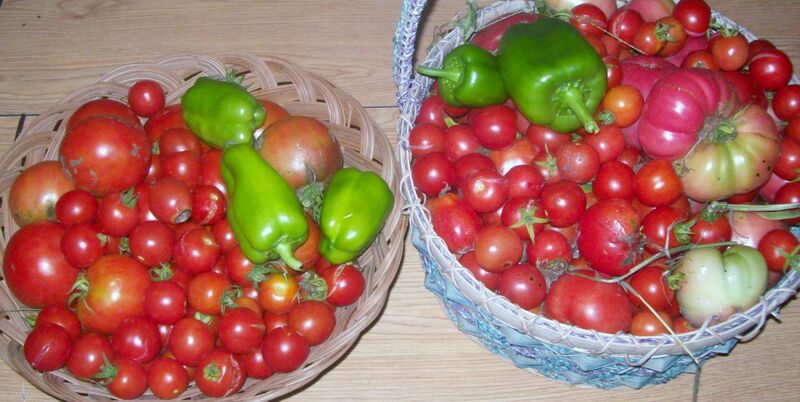 This is todays harvest. Some of the plants are close to seven feet tall when the vine is straightened out. We are still getting a few scattered green bell peppers. 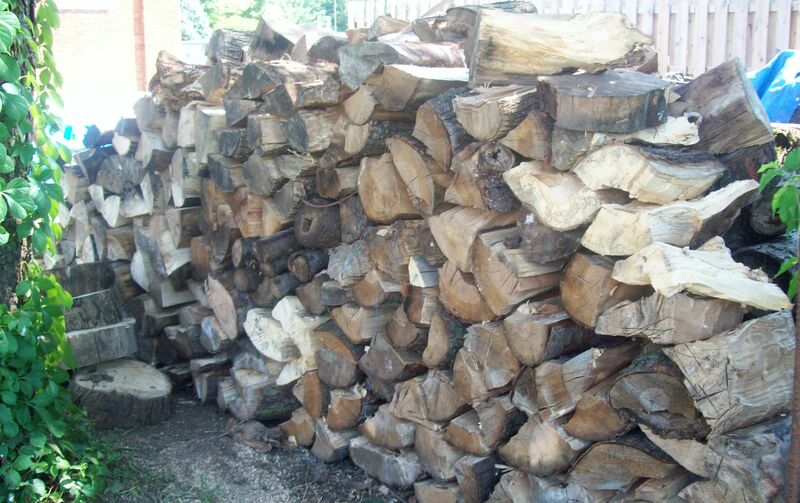 While I have been busy putting up food for the winter, my husband has been busy getting firewood stacked and split. This is just the beginning. Our firewood pile will take up the entire back of our garage. Thanks for sharing in our current garden pre-apocalypse! Posted by Createityourself on August 30, 2012 in Plants and Gardening, Saving Money and tagged corn, garden, gardening, harvest, Plants, roses, squah, zucchini. We’ve both been very busy. Making a batch of bath wash now and as soon as it’s done I’m headed to the garden to pick a basket of plum tomatoes for ketchup. I sure wish I didn’t have to work full time. It’s hard getting everything done. fall,a time for rest and regeneration!!!!!!! Such fun we are all having with out harvests. 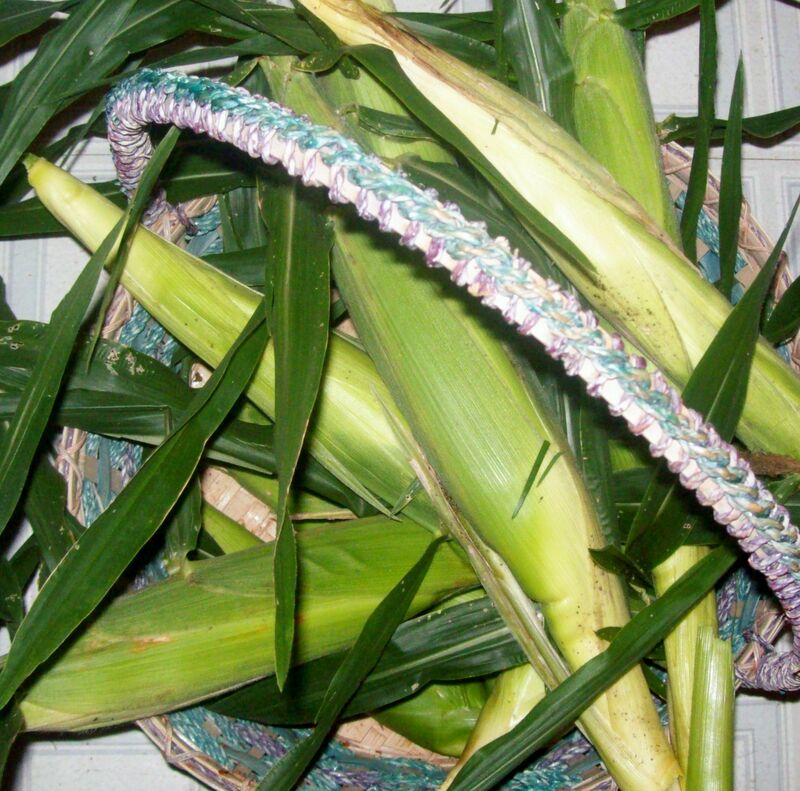 Loved the look of your corn. Your wood pile makes me homesick for my former house where we had a wood burning stove. It was so nice to have a real fire on a cold winter night. I also loved the ashes in the compost pile. Nice looking corn…. I never thin my carrots, which could be one reason why I don’t get a good crop, but at least you reduce the chances of carrot root fly and thereby no crop at all!